Comments: Hardcover. Pages are free of writing or highlighting throughout, but the previous owners name is written along the outer edges of the pages. Binding is tight, but spine as a whole is a little loose. Moderate scuffing and wear to front and back cover. Not a pretty copy, but functional. 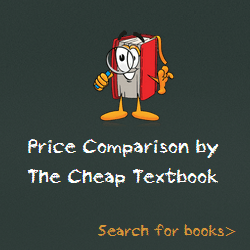 This entry was posted in Book and tagged 1284055973, 978-1284055979, Top Textbook 2018 on January 11, 2018 by Textbooks.